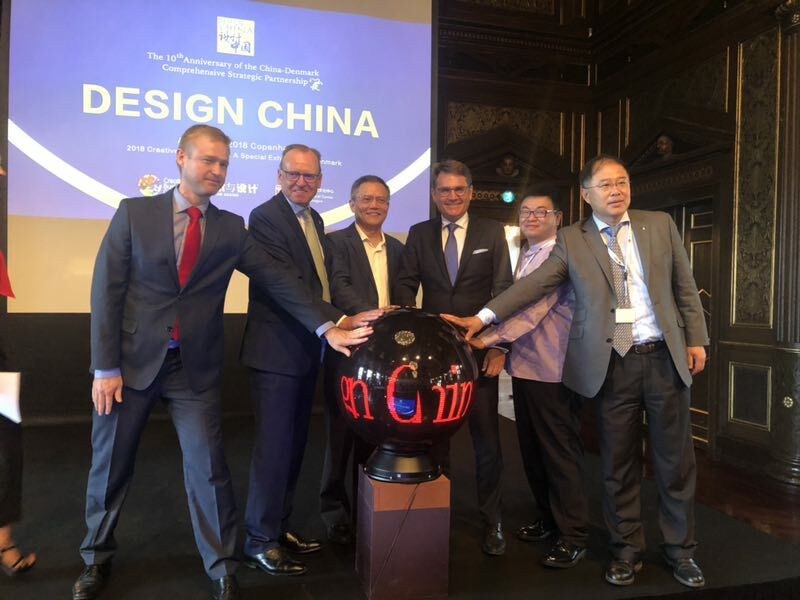 According to Xinhua News Agency，on August 20th(reported by Mu Xuequan), a special exhibition entitled “Design China” opened at the Danish Chamber of Commerce’s historic site Borssalen in central Copenhagen on Monday. The exhibition showcases more than 100 works created by 31 Chinese design teams. Stemmed from a wide variety of different areas of life, the exhibits vary from fashion and jewelry design to ceramic and furniture design. As part of the activities held in celebration of the 10th anniversary of the China-Denmark comprehensive strategic partnership, the exhibition is organized by China Cultural Center in Copenhagen, together with Creative Business Cup, and Art and Design of the Economic Daily Group. Some 150 guests, including Danish Chamber of Commerce CEO Brian Mikkelsen and CEO of Creative Business Cup Rasmus Wiinstedt Tscherning, attended the opening ceremony. The Chinese ambassador to Denmark Deng Ying and HRH Prince Joachim of Denmark attended the Banquet for the Design China Special Exhibition Monday evening. “What I like is to see the innovative solutions…The designers turned the whole thing around, they are thinking differently all in new ways,” said the Prince in a speech. Creative Business Cup is the “world championship” for start-ups with a focus on Creative Industries. It takes place in over 70 countries around the world.